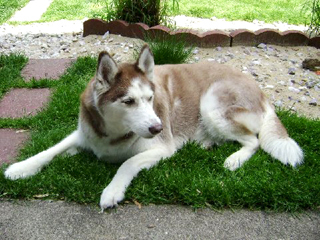 Sheba came to us from Tails of the Tundra as a companion for our black and white Huskie called Beauty she changed our life over night. In time we found out she had Arthritis throughout her spine and it took her toll as she was in pain and could no longer walk. She crossed over quietly on 09-04-2014 and is no longer in pain she will be missed she was the most loving dog we have ever had.